Happy Saturday my friends! How was your week? I was in a little bit of baking heaven this week as I made a wedding cake and 70 cupcakes for a dear friend whose son is getting married today. I enjoyed getting into the groove of juggling a bench full of black forest cupcakes while giving spelling tests and listening to poetry recital from the girls. Talk about multitasking! Miss Daisy chopped chocolate for my ganache, Miss Charlotte made lemon curd and I showed Miss Mary how to make caramel. We are all in this together. One day I’d love to open a vintage tea house with my girls. Or maybe own a cute pink cupcake van. We talk about it all the time. Miss Charlotte is determined to be in charge of the coffee, while Daisy wants to help me with the cakes. Of course we would only serve organic brewed tea in pretty china cups and use embroidered linen supper cloths on the tables. The Platters would be serenading guests in the background, with a bit of Dionne Warwick thrown in for good measure. Ahhh…it’s good to dream. Meanwhile, back in the kitchen we practice our skills in between english, reading, maths and history. These dear ones will be all grown up before I know it and I am determined to finish them well. Despite popular thinking, sometimes we have to wait to achieve a dream. We can’t always have everything when we want it. I recently bought a wooden plaque which reflected my new found motto for this year perfectly. Now those are good words I can relate to. I can’t do everything right now, but I can use what’s in my hands and do what I can. What I did have in my hands this week were some organic dried apricots, apricot nectar and almond meal. 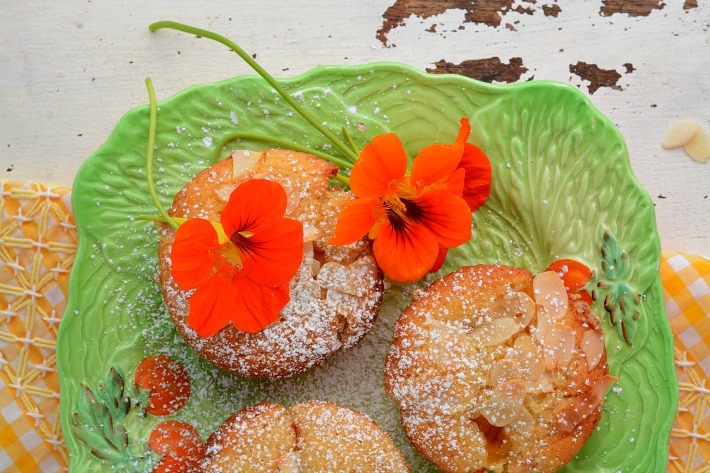 I’ve been making these delicious muffins for years now and they are always a hit wherever I take them. The key here is to soak the chopped apricots in the nectar for an hour or so, or if short on time, do this step first and let them soak while you get the rest of the ingredients together. The fruit soaks up the flavour of the nectar and really packs a punch. 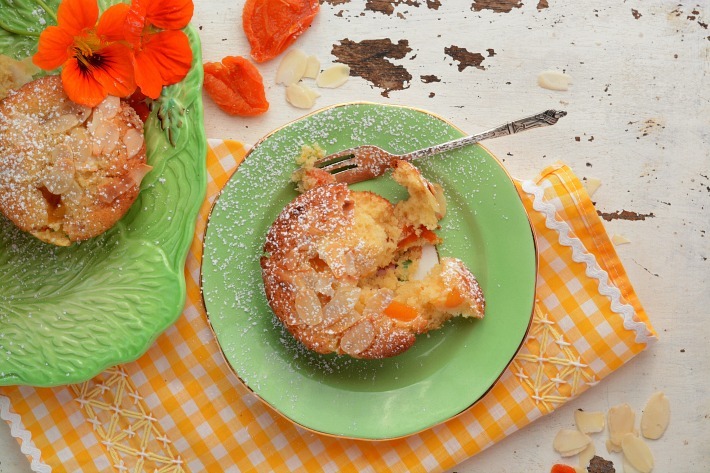 These easy to bake muffins are perfect for your kids lunch boxes or an after school snack. You can whip up a batch in next to no time. 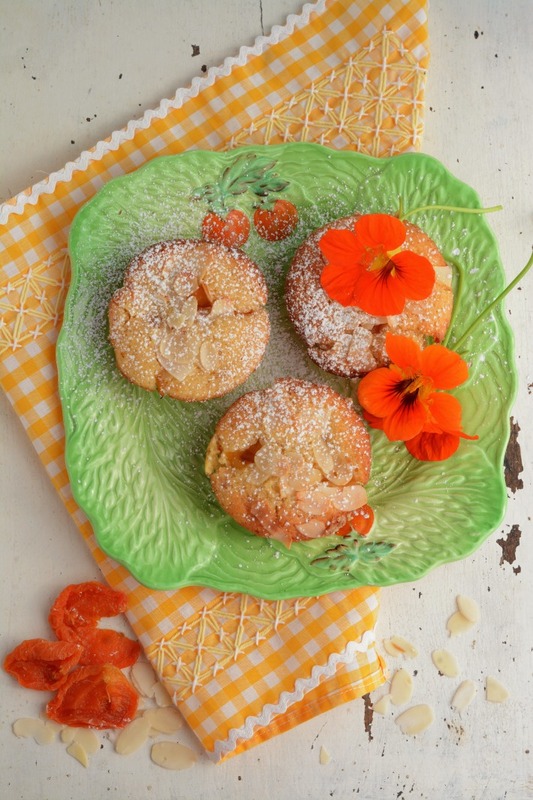 They are best served warm straight out of the oven and dusted with a little icing sugar. 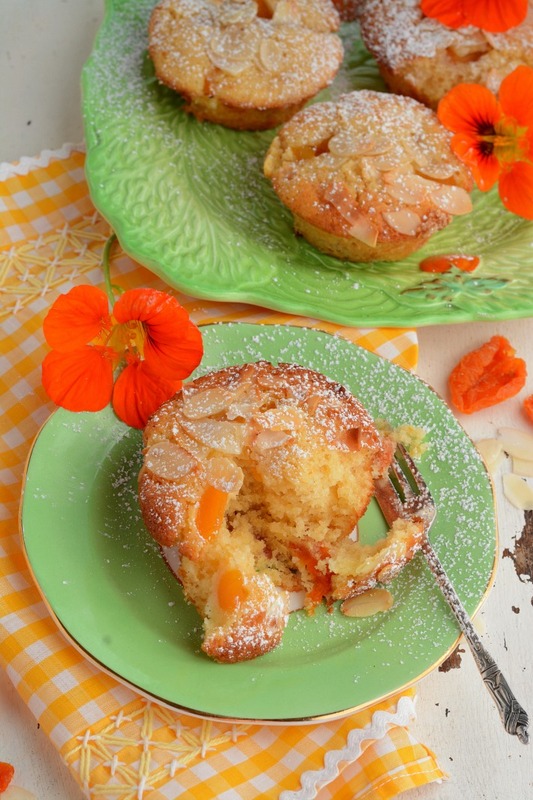 A light muffin made with almond meal and dried apricots. Perfect for the kids school lunches. Carefully pour wet mix into dry mixture and stir with a spatula very slowly. It is important not to over mix as this will make your muffins stodgy. Mix until just combined. Scoop into prepared muffin trays, until a third full. 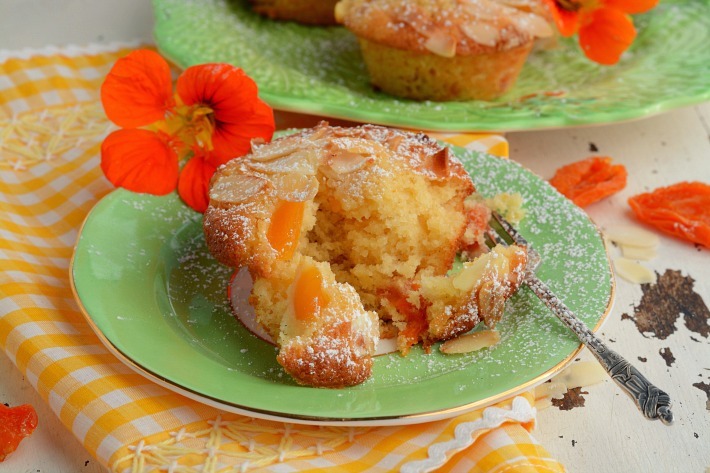 Chop tinned apricots and gently push pieces onto the top of each muffin. 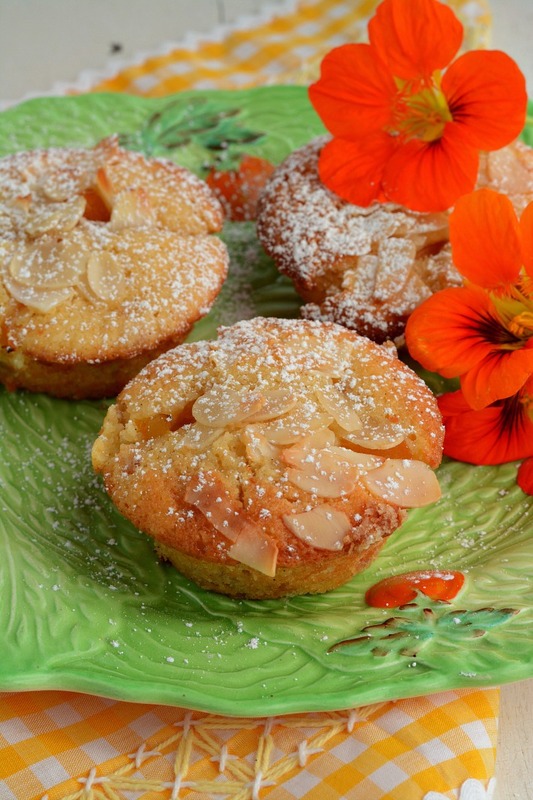 Top with coconut and almond flakes. Bake for 18 minutes or until firm to touch. Leave in trays for about ten minutes before removing onto a wire rack to cool completely. If you want to be first in the know, make sure you sign up to get notificication of all of my latest posts.